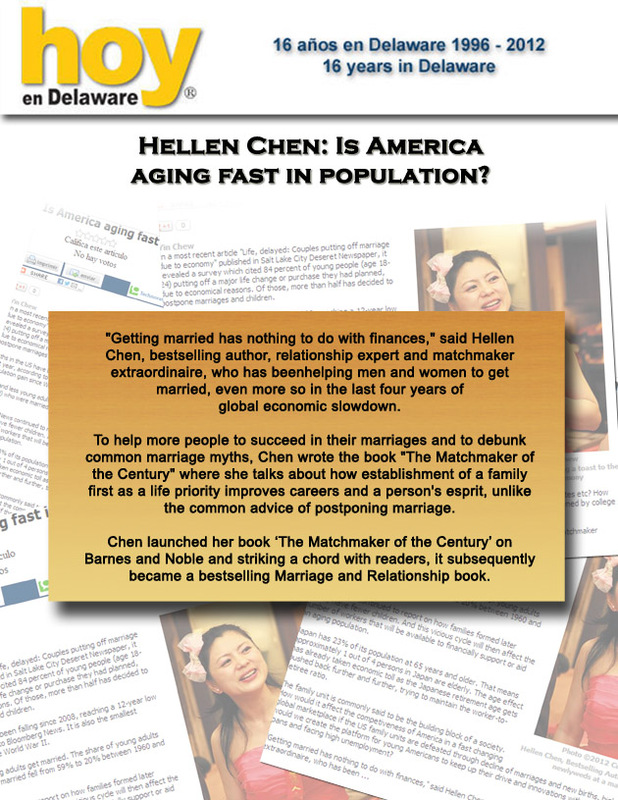 "Getting married has nothing to do with finances," said Hellen Chen, bestselling author, relationship expert and matchmaker extraordinaire, who has beenhelping men and women to get married, even more so in the last four years of global economic slowdown. 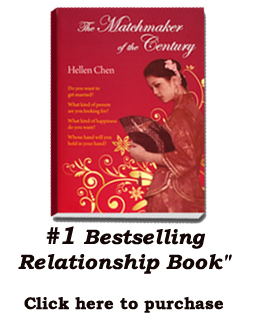 To help more people to succeed in their marriages and to debunk common marriage myths, Chen wrote the book "The Matchmaker of the Century" where she talks about how establishment of a family first as a life priority improves careers and a person's esprit, unlike the common advice of postponing marriage. Chen launched her book ‘The Matchmaker of the Century’ on Barnes and Noble and striking a chord with readers, it subsequently became a bestselling Marriage and Relationship book. Are you taking care of someone else’s future spouse? 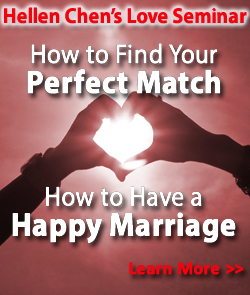 Why are Marriages Not Making It?